Mulch. Read Some About It! 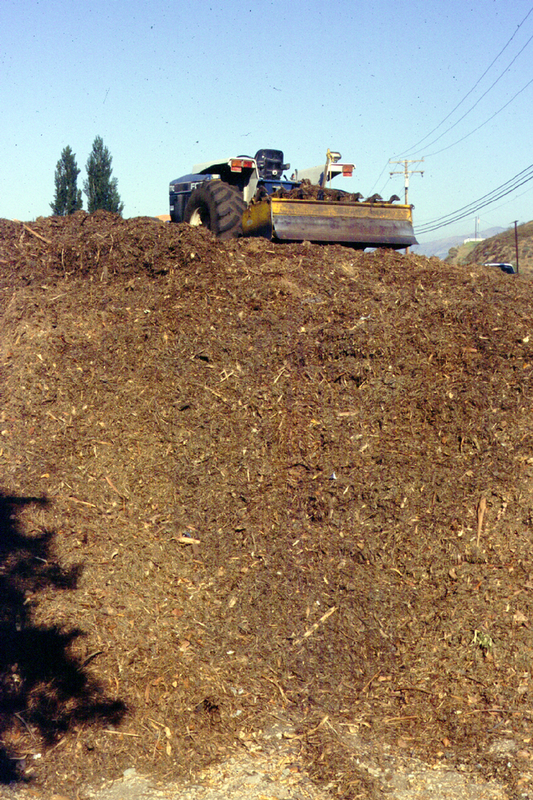 Two questions and comments came up last week about the use of mulch in orchards. The first is that mulch is two edged. It serves to combat erosion and root rot, but it can also burn. 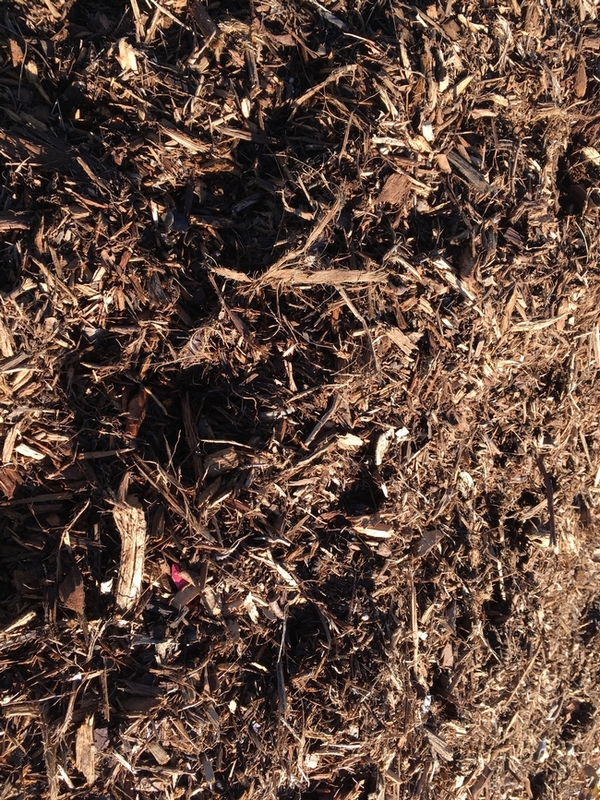 Mulch and wood piled up against tree trunks and near trunks can cause damage to those trunks. A Fillmore grower actually goes through the orchard with a blower to move mulch away from trunks when alerted to fire. On the other hand, irrigated orchards have been shown to be effective at suppressing fire encroaching on homes. So where to read more about fire? About mulch? Check out some of the blogs from the past. 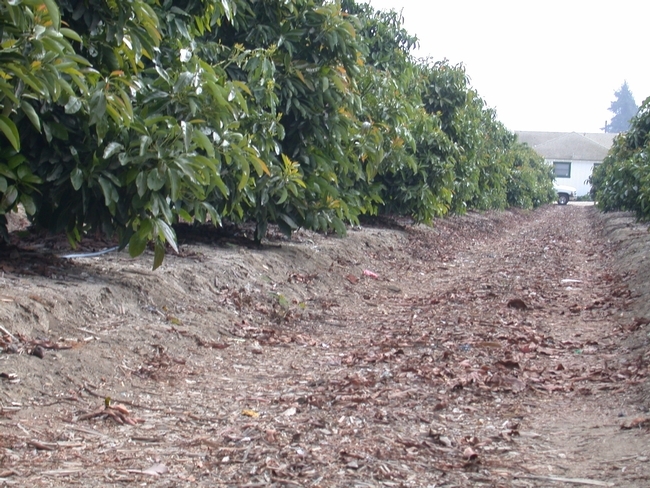 A Caution on Free "Compost/Mulch"
Avocado growers have been ecstatic at fruit prices and are walking their groves more avidly, checking things out and seeing lots of things they don't normally see. 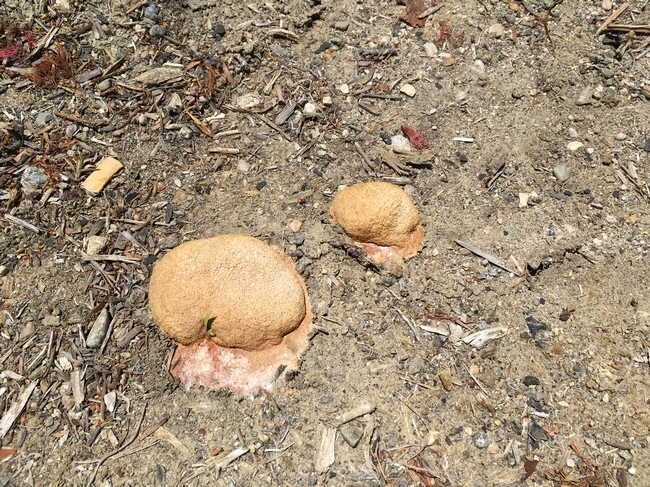 A recent grower find has been a blob of Fulgio septica - ‘Dog Vomit' or ‘Dog Fungus'. It's not vomit, it's not a fungus, but a slime mold that lives off the organic matter littering orchards and in mulched gardens. After the rains and when it starts to warm up, the spores of these non-animal, non-plants germinate and start moving around. They aggregate into a mass, called a plasmodium, a super individual that starts out as a yellowish, spongy mass that can move in a slow, amoeboid-like fashion. 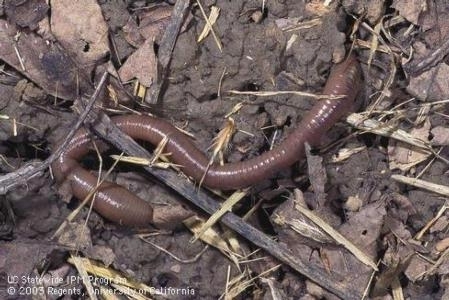 It gradually hardens and can take on the brownish-tan coloring seen in the image below. As it dries, it breaks up and blows away. It won't do harm to living plants, simply feeding on dead material. It will gradually disappear. So, as you walk your orchard or your backyard, enjoy the unusual appearance of a rainy year member of the web of nature.